Hey, come on over to Globecraft & Piccolo blog where we’re involved in the 2nd Annual Handmade Holiday Blog Hop sponsored by a good variety of companies. During this 3-day Hop you can view over 60 stops offering up a slew of affordable and creative gifts for the holidays! We’re giving away some fantastic prize packages just for following along and commenting on the participating blogs. Every comment you leave adds another chance for you to win. To earn extra entries: Follow our blog – by email or become a Follower. Like our Globecraft & Piccolo Facebook Page and share the Hop info with all your Facebook Friends. 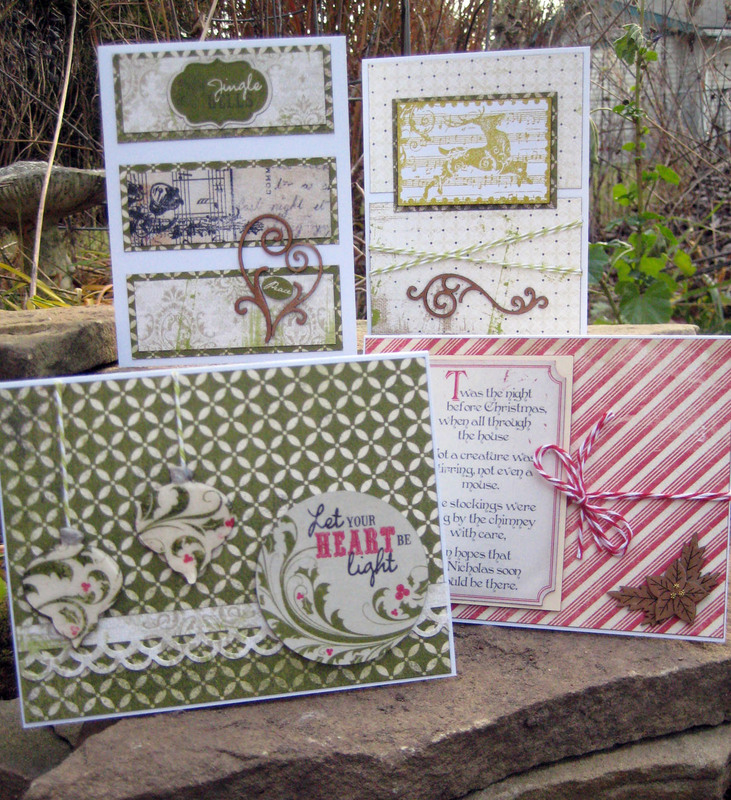 Leave a comment to let us know how you’re enjoying this 2nd Annual Handmade Holidays Blog Hop. Extra entries can also be earned by using the Rafflecopter widget on Clearsnap blog to gain extra entries each day: http://clearsnap.blogspot.com. I’m participating daily on our Globecraft & Piccolo blog where you’ll see my projects! Friday I made a mini book with a decorated tin storage box and today you’ll find some blank cards and gift bag suitable for Thank You’s, Sympathy or a simple Hello! So hop on over there and you’ll find the links to all the other participants. I seen lots of great projects Friday (feel free to back-track) and I’m sure there are loads more today! On another note: A few spots remain for Sunday’s Coin Envelope Mini Book class at Scrapbook Peddler in Saginaw. Check it out here and contact the store if you can make it! Would love to have you! I’m loving this hop. So many cute idea’s. Your cards are beautiful. Absolutley stunning. Wonderfully done. I love this. Both your projects were lovely on the blog! Oh wow..these are drop dead gorgeous! Love Love Love it!